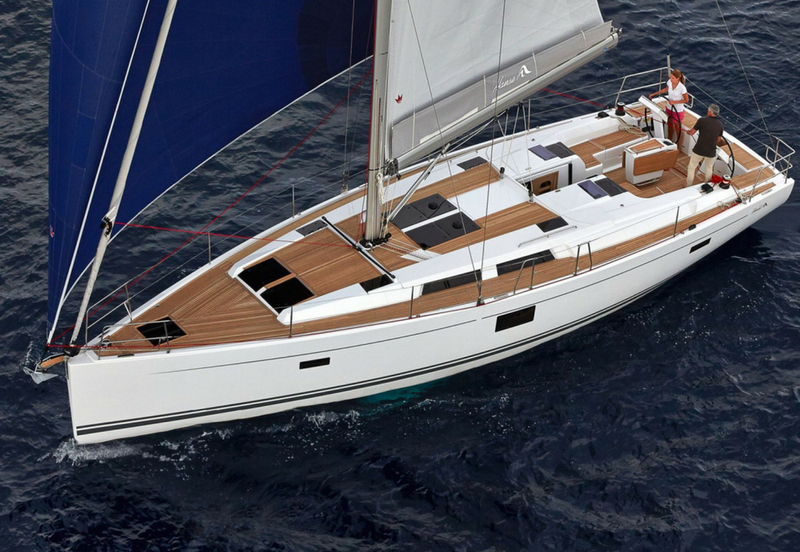 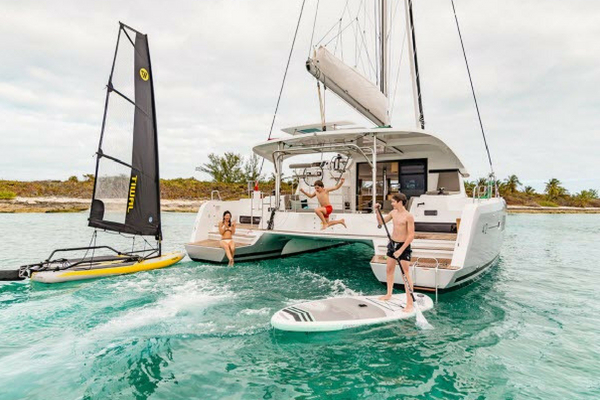 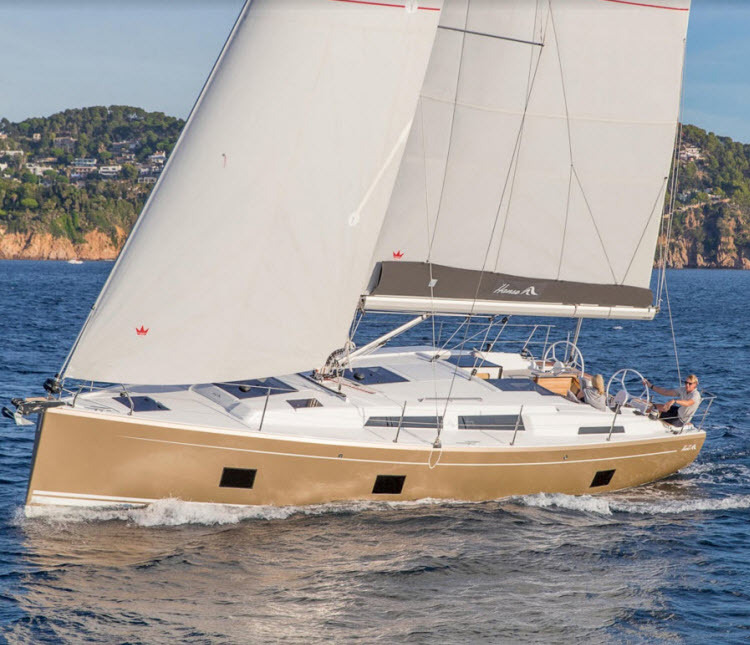 Imagine the impossible: a 37-foot power catamaran that exceeds all the space, stability and comforts of a 50-foot mono-hull. 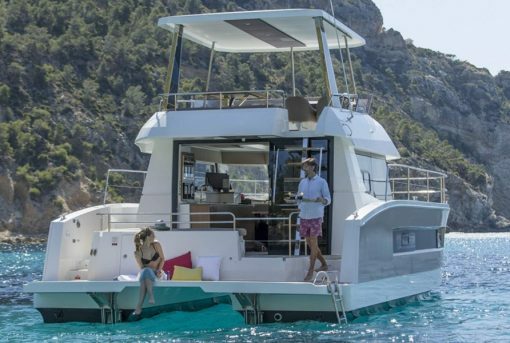 The MY37 is an evolution in motor yacht design, setting an entirely new standard of excellence in the power catamaran market. 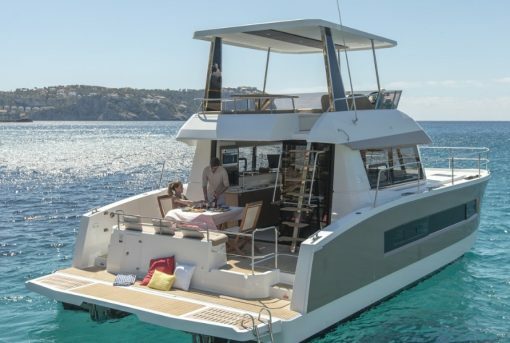 Inspired by the space and luxury of fine villas, this remarkable catamaran delivers exceptional comfort and performance at sea. 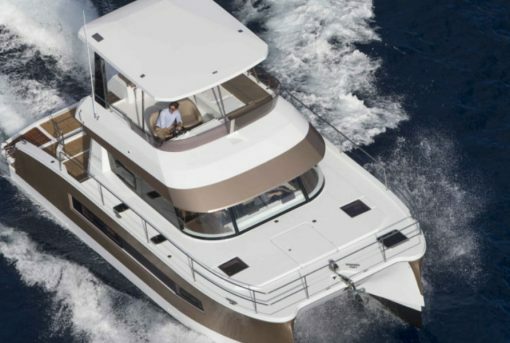 Features include expansive living areas, a naturally luminous saloon with panoramic windows and integrated cockpit access, superb fly bridge with protected helm station and a decadent sunbathing station. 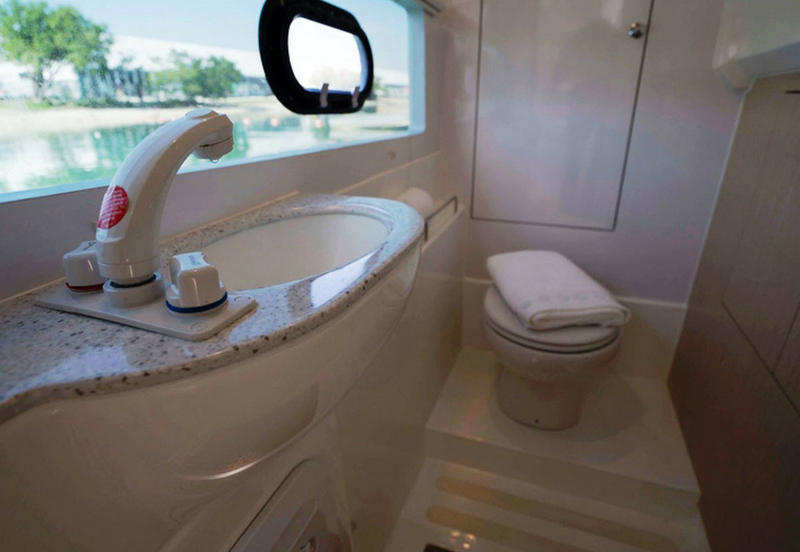 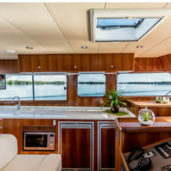 Its stunning contemporary design incorporates the finest in finishings and fixtures for your ultimate cruising pleasure. 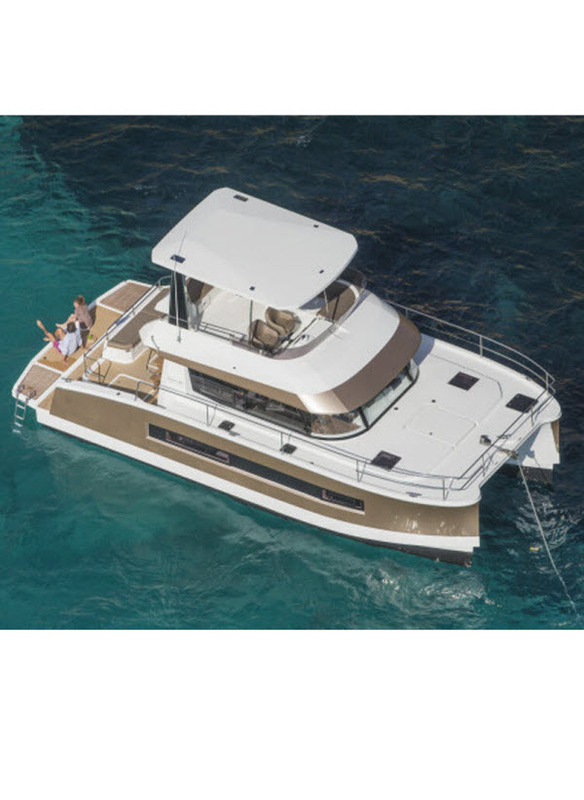 An advanced hull design ensures outstanding stability and excellent performance at sea, while its impressive fuel economy makes it the ideal choice for those trips up and down the coast. 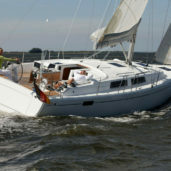 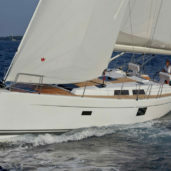 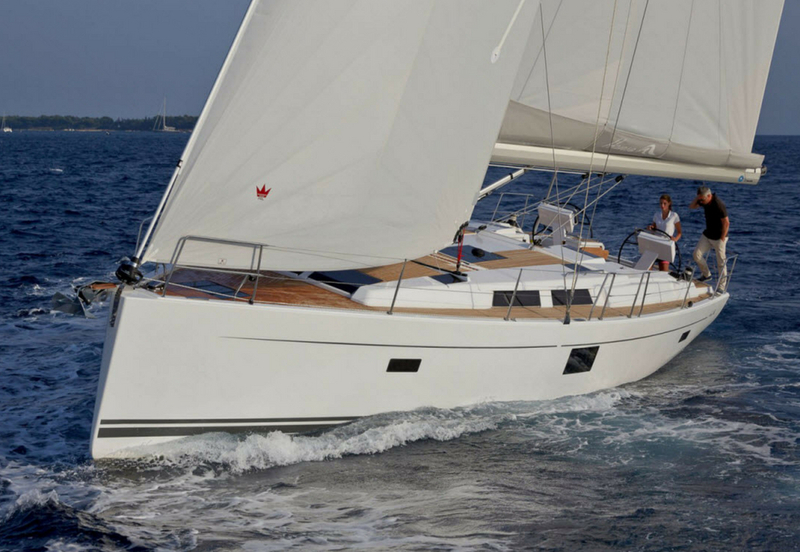 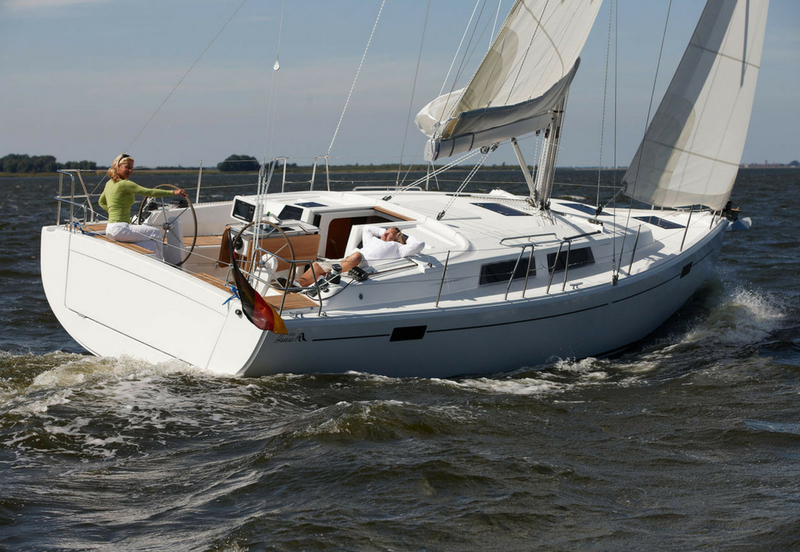 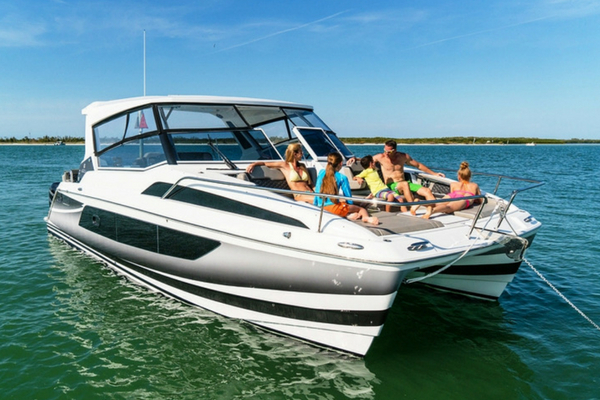 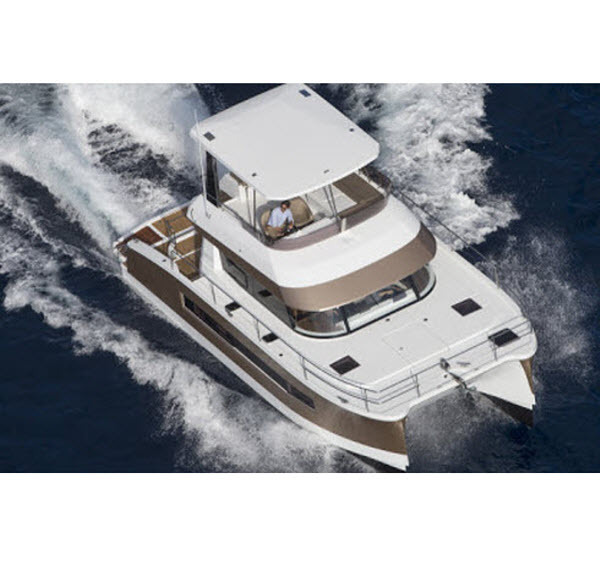 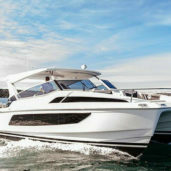 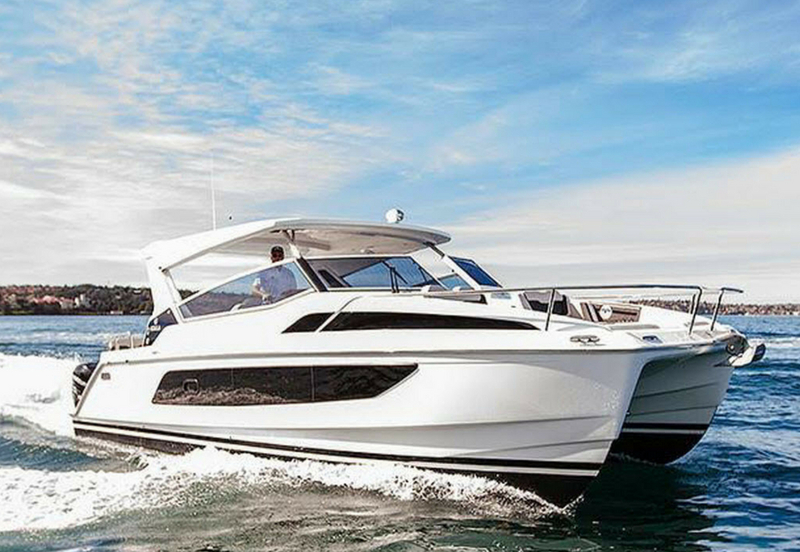 No other motor boat of its size delivers the space, comfort, safety, economy and performance of the MY37. 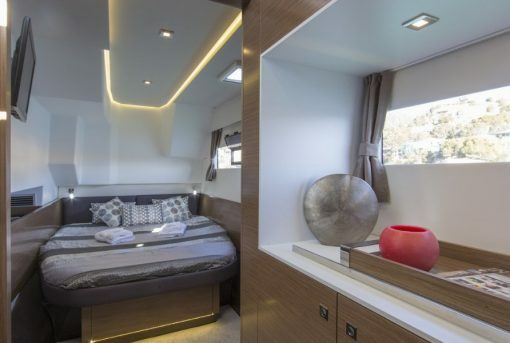 The interior of the MY37 has been designed to the highest standards with exceptional natural light through 360-degree panoramic windows, 2.1m headroom and ambient LED lighting. 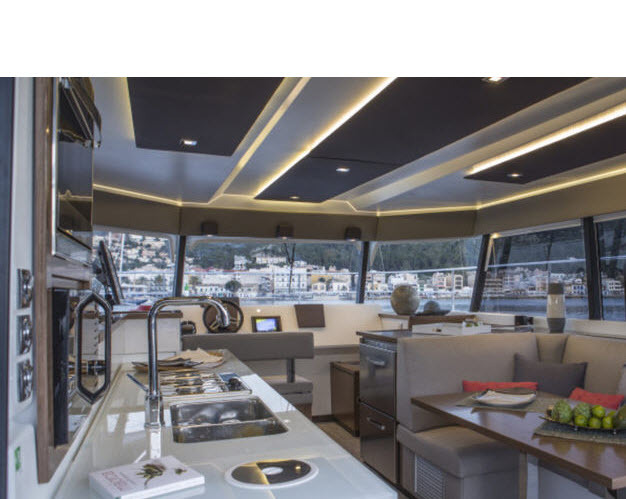 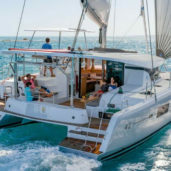 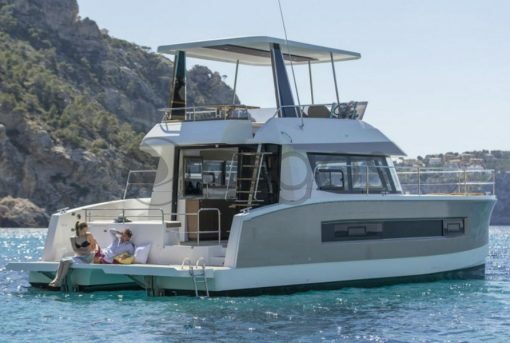 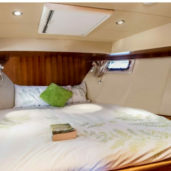 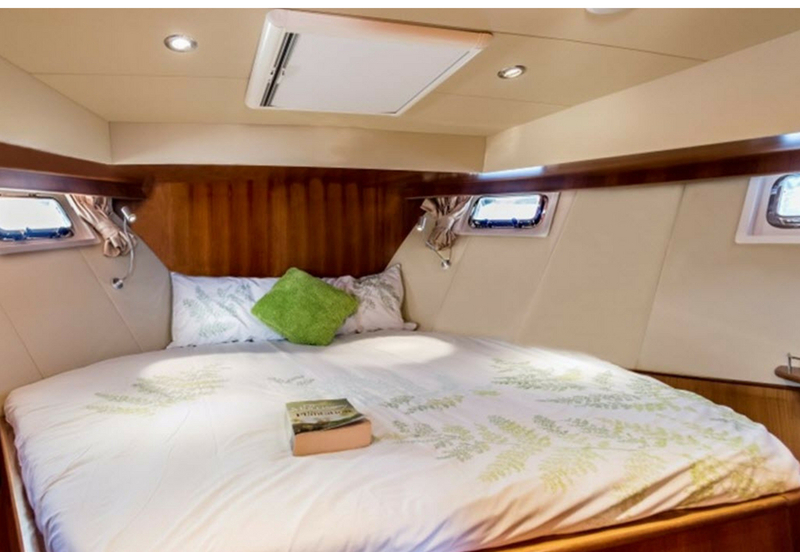 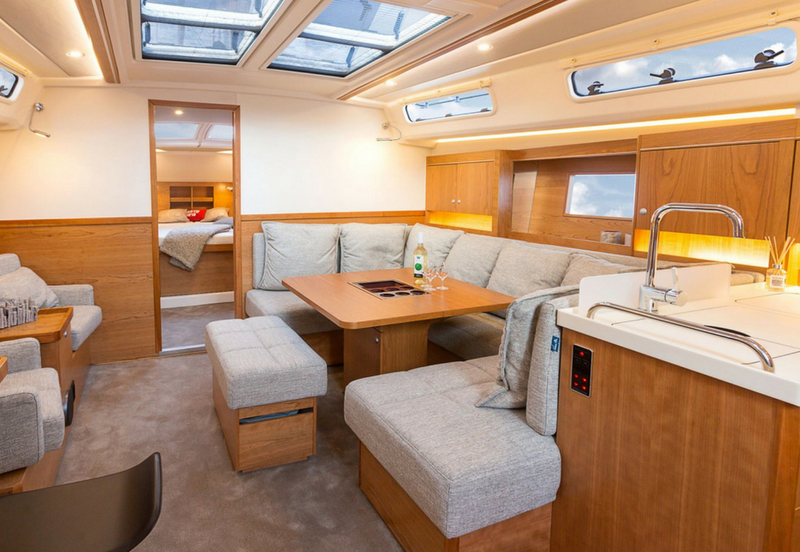 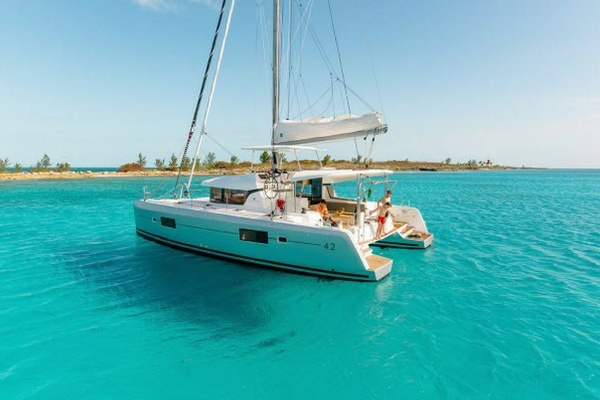 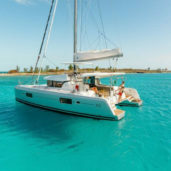 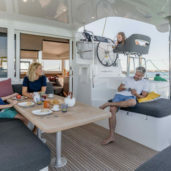 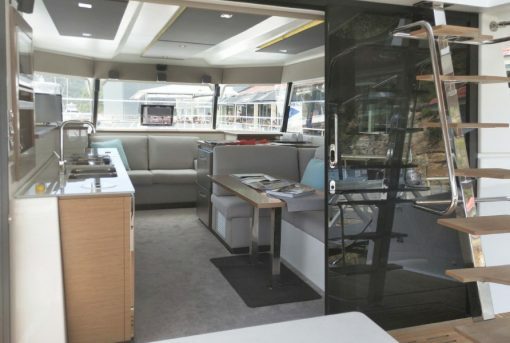 The catamaran’s galley is eminently practical and features a 150L drawer fridge, double sink, three-burner hob stove and integrated waste bin. 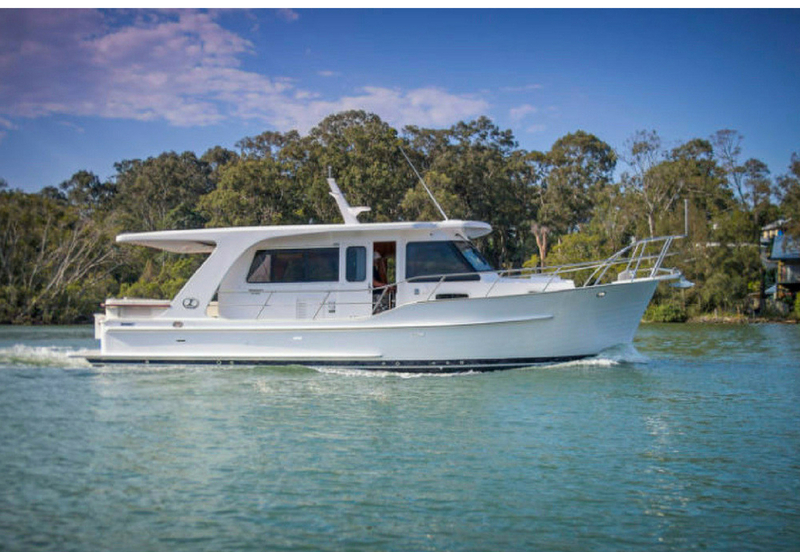 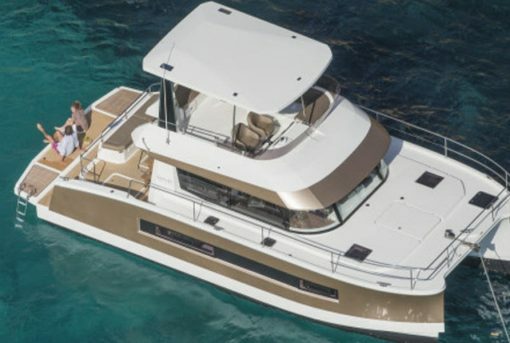 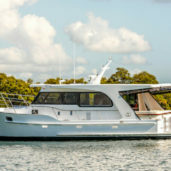 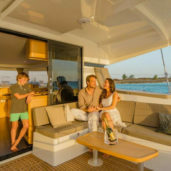 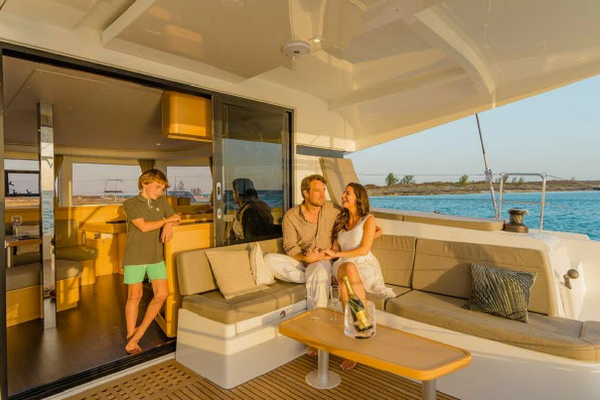 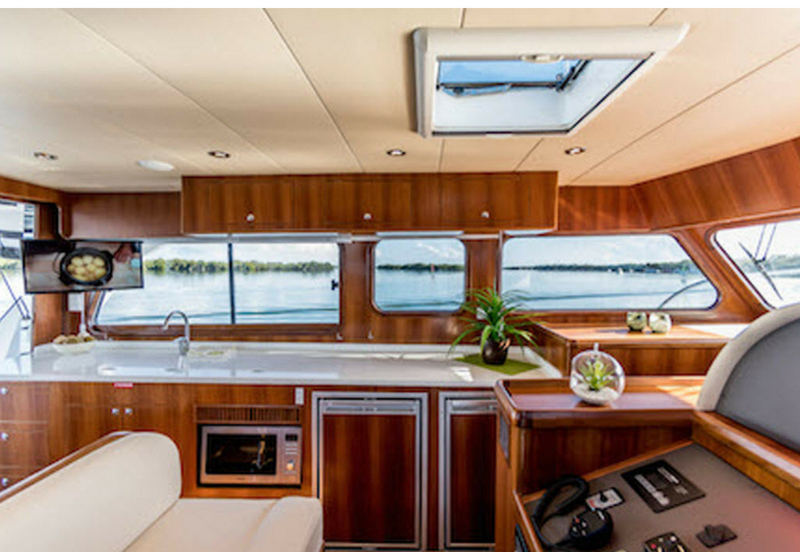 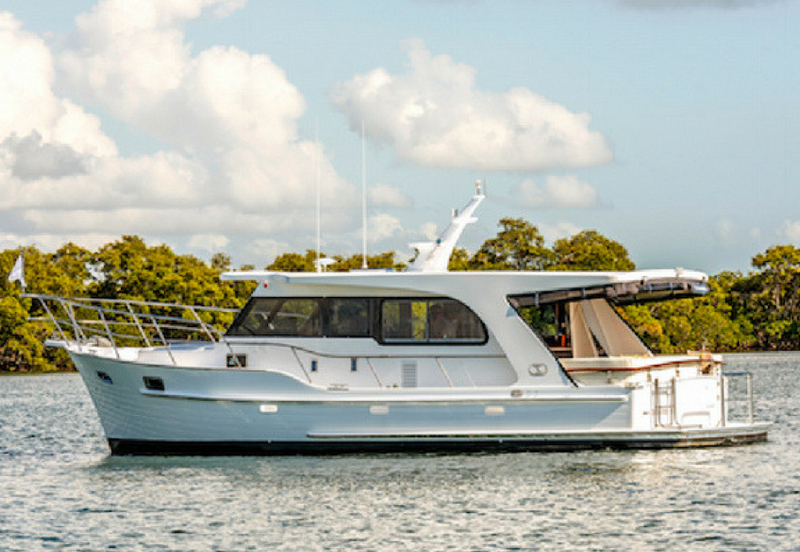 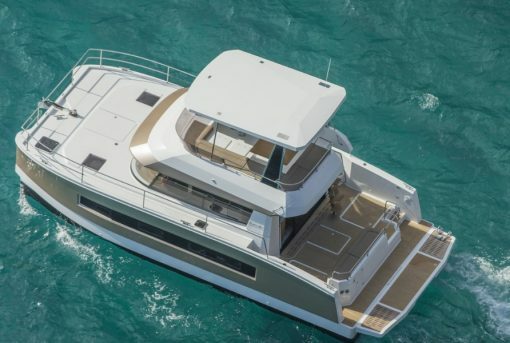 The MY37 boasts a layout and fixtures befitting a boat of a much larger size, including a generous portside master suite with island bed and private bathroom, two spacious guest cabins with large shared bathroom, a laundry and remarkable storage capacity. 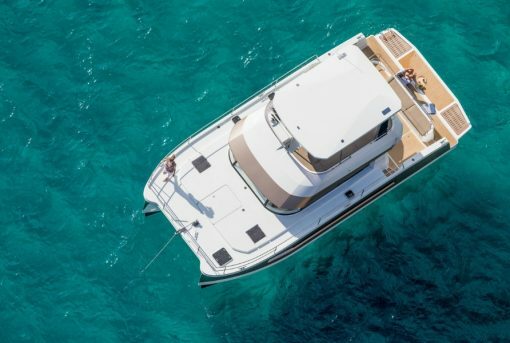 With its advanced hull design and high bridge deck clearance, the MY37 delivers outstanding stability and exceptional performance in challenging conditions, while its impressive fuel economy makes it the ideal choice for those trips up and down the coast. 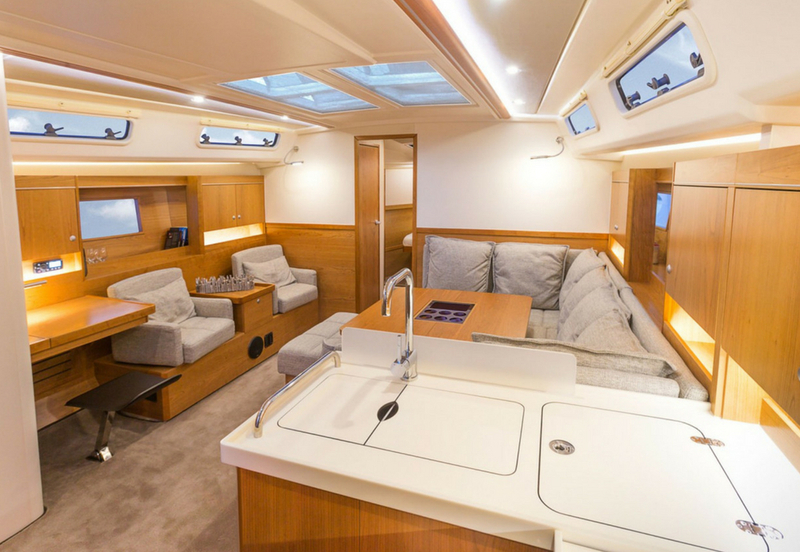 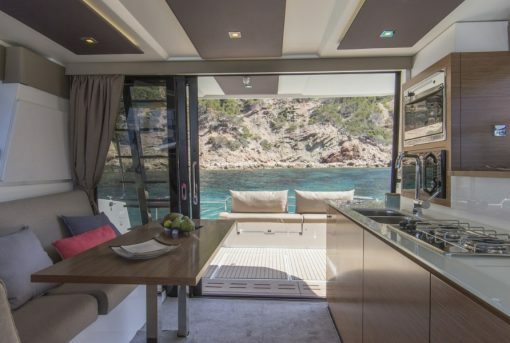 The MY37’s generous 12 sq m flybridge is a superb retreat for both guests and crew and the helm station affords panoramic views through its glare-resistant windshield. 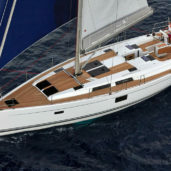 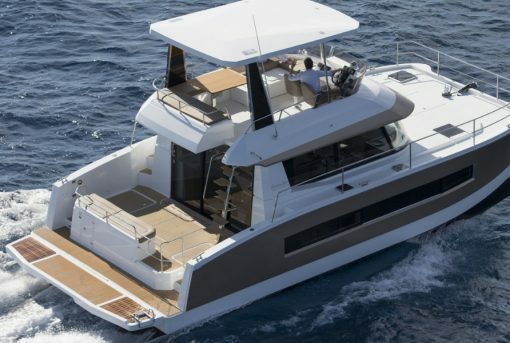 Both the cockpit and flybridge are fitted with biminis to ensure protection and comfort from the natural elements. 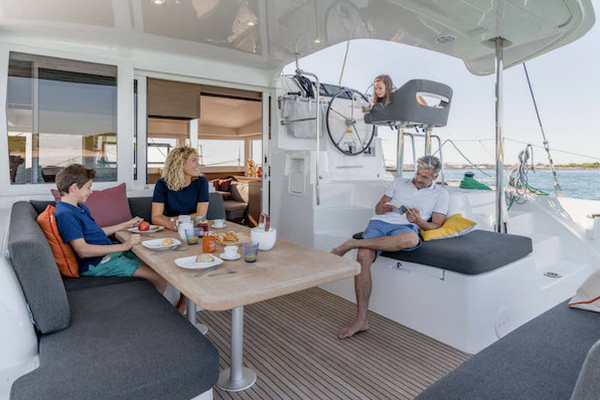 Your family and friends can relax and dine on the upper level with a table to seat six or simply chill out on the luxurious reclining sunbeds. 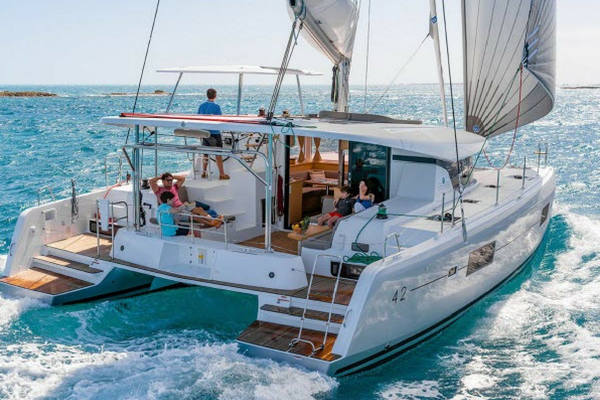 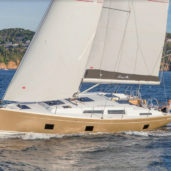 SMART Boating’s Fountaine Pajot MY37 will be located at the Pittwater Marina, Bayview Anchorage. 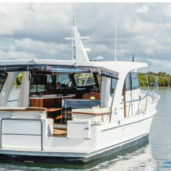 The original home of SMART Boating, Bayview Anchorage Marina is a state of the art floating marina and your gateway to the fantastic waterway of Pittwater and Broken Bay. 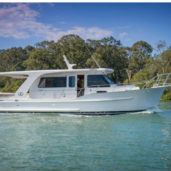 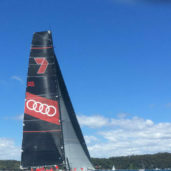 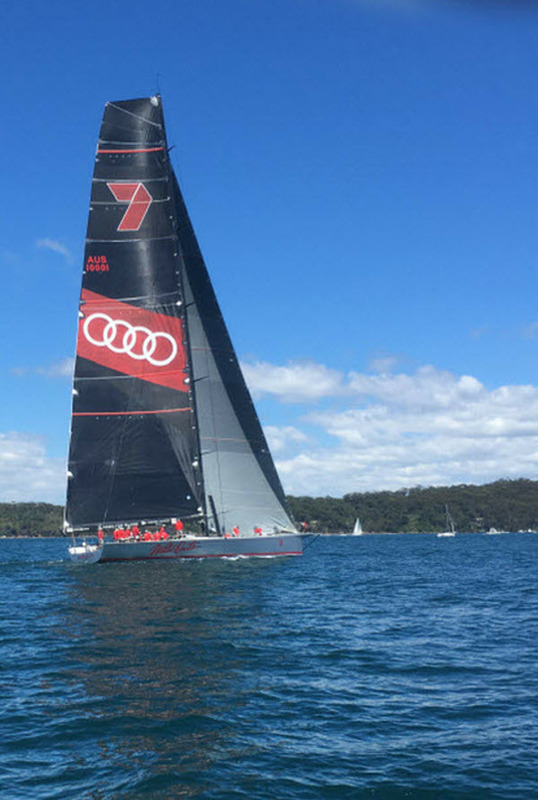 Broken Bay is a world-class cruising area with Brisbane Water to the north, Cowan Water and the Hawkesbury River to the west and Pittwater to the south. 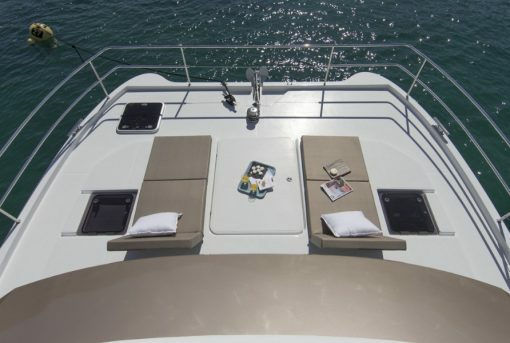 The view up towards Lion Island from the pontoons is simply stunning. 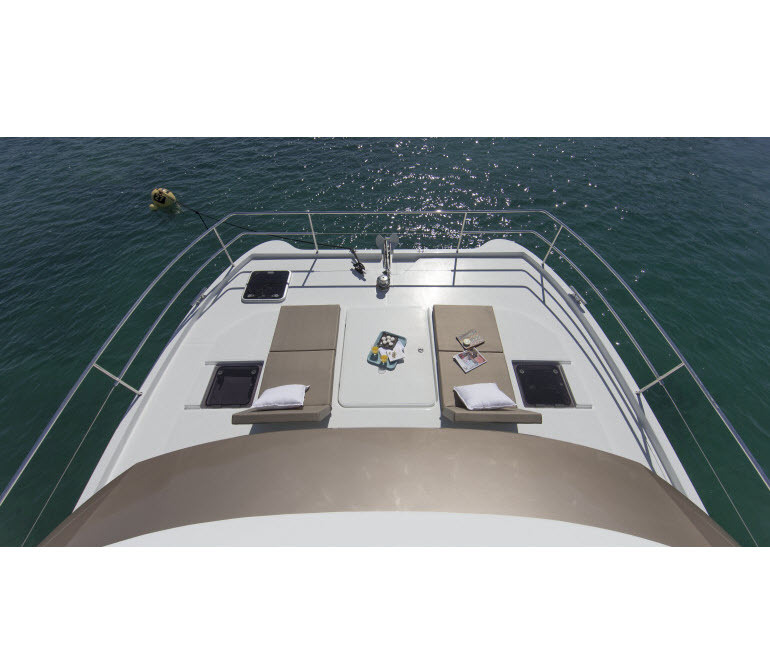 Bayview is a modern fully-serviced marina – perfect for our yacht charter and yacht share operations. 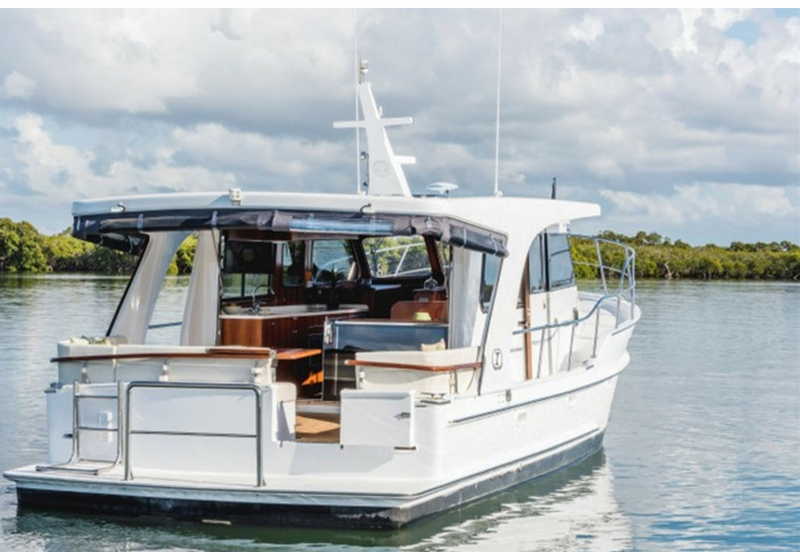 And after you’ve been out on the water, our cafe and restaurant both have fabulous waterfront views.